The middle of summer is as tropical as Michigan ever gets, and we have one idea that is sure to make you feel like you're on an exotic island. We promise it's a whole lot cheaper and easier than booking a fancy trip. All you need to do is bring some tropical flowers home! 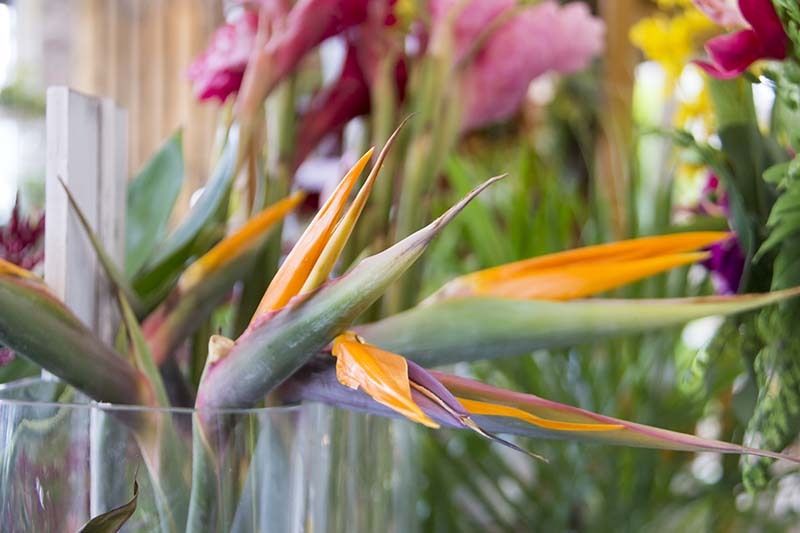 This month, to match the warm weather outside, we've been featuring tropical flowers at Viviano Flower Shop. We bring in a lot of tropical flowers from our growers in Costa Rica, Thailand, Hawaii, and other tropical places. Most tropical flowers do not have any seasonal gaps which means they grow all year round. Unlike Michigan, many other climates are suitable for growing flowers all year which is why we rely on growers around the world, and that way we can bring our clients the best available flowers. (Luckily we get beautiful Michigan grown flowers in the summer, so look for a feature blog post about those special blooms coming soon!). 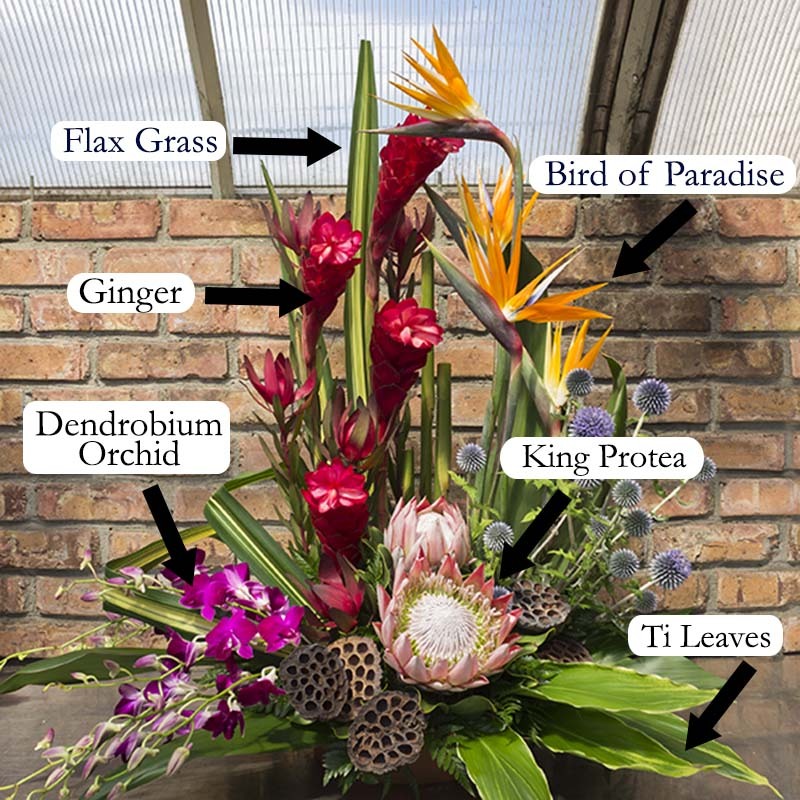 Tropical flowers grow in a variety of colors and crazy shapes, and some of our favorites include orchids, proteas, birds of paradise, and ginger all of which look great with a variety of tropical foliages. 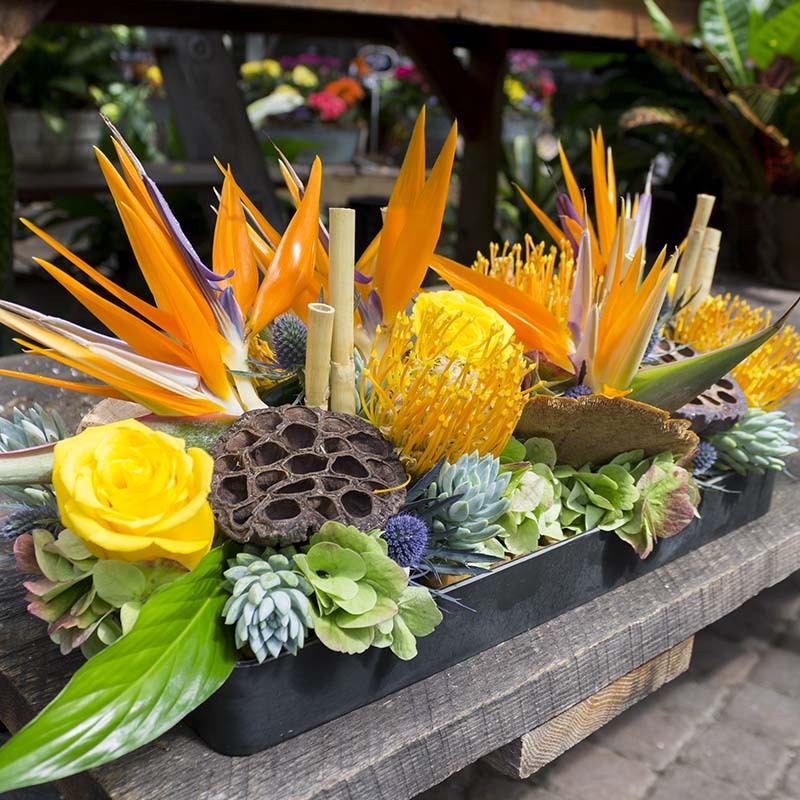 This arrangement below incorporated many different tropicals that worked together for one big and colorful display! We enjoy tropical flowers because they are fun and unique. Adding tropical flowers to bouquets and centerpieces is a great way to make the arrangement colorful and out of the ordinary. We love when clients allow us to get creative. One recent bride used the vibrant colors from her husband's charity for children as her wedding inspiration, and we got to create a bouquet with variety of colorful flowers including numerous orchid varieties. 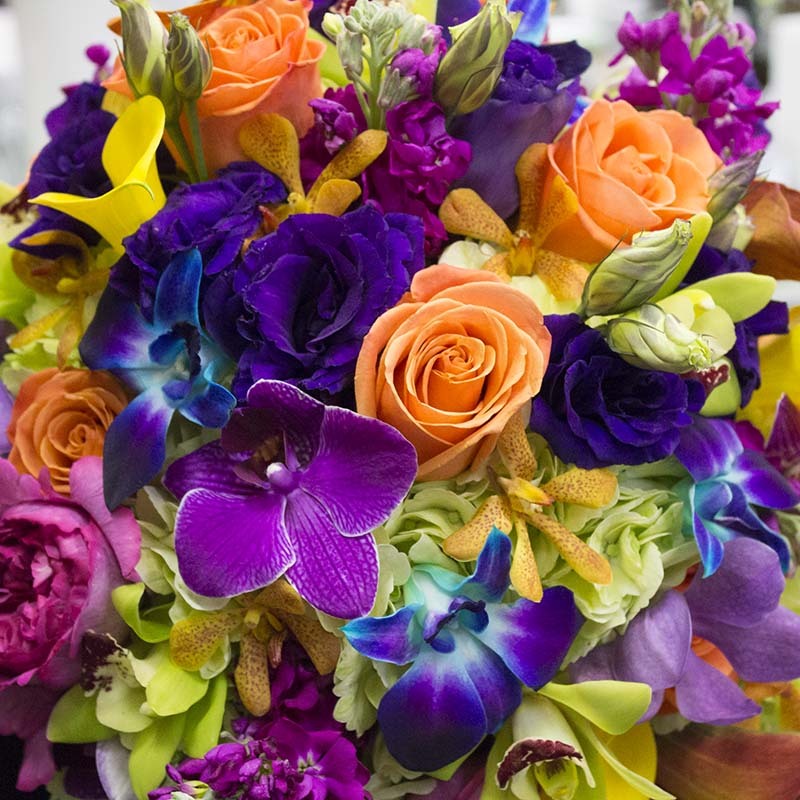 Just look at all her coloful blooms in this close-up shot of her bouquet! 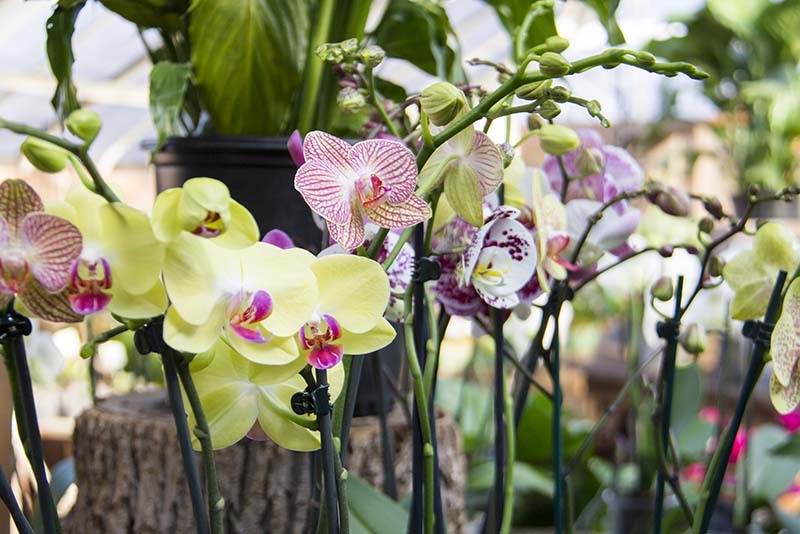 The most popular orchid varietes that we carry are dedrobium, cymbidium, mokara, oncidium, and phaleonopsis orchids all of which grow in numerous colors and sizes. 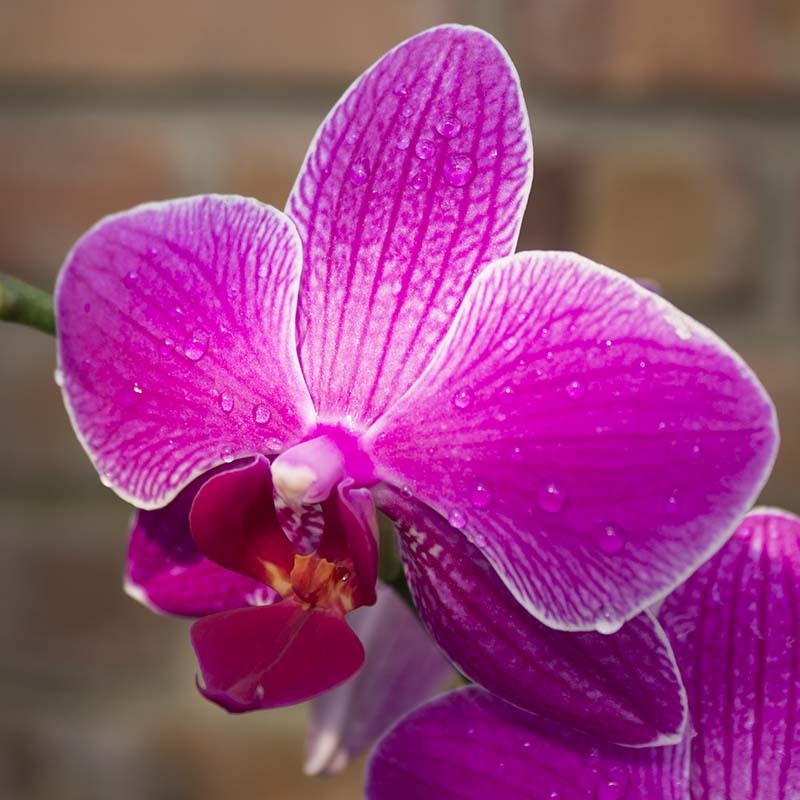 Most people are familiar with phaleonopsis orchids as a popular house plant, but they may be less familiar with how many color varieties exist including beautiful speckled ones. 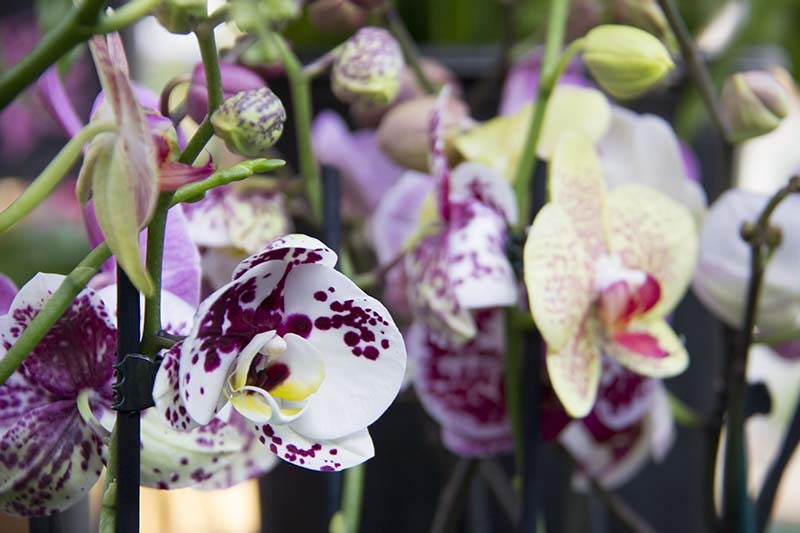 It's always exciting to wander around in our greenhouse to see what fun colored orchids our growers send us. 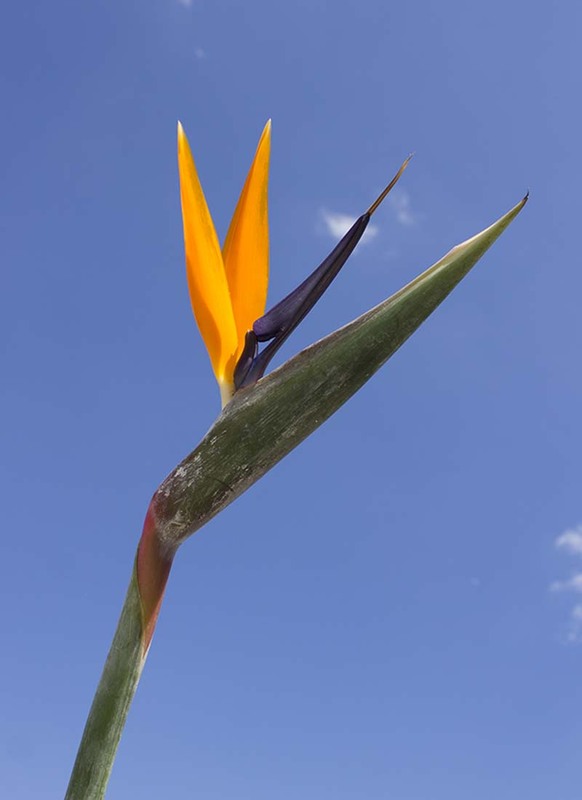 Besides all the fun colors, some tropical flowers can even look like animals such as the Bird of Paradise which is an orange and blue flower that looks similar to a colorful tropical bird about to take flight.